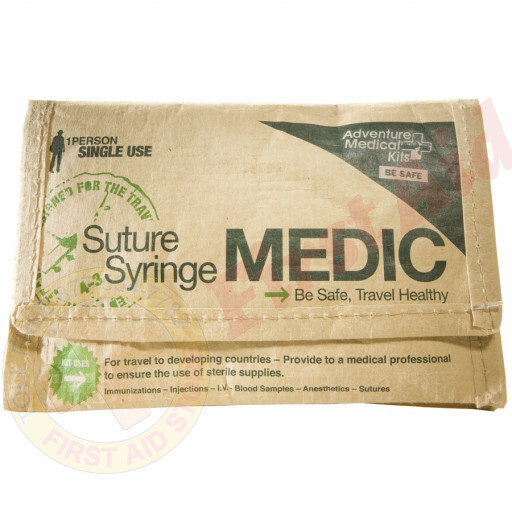 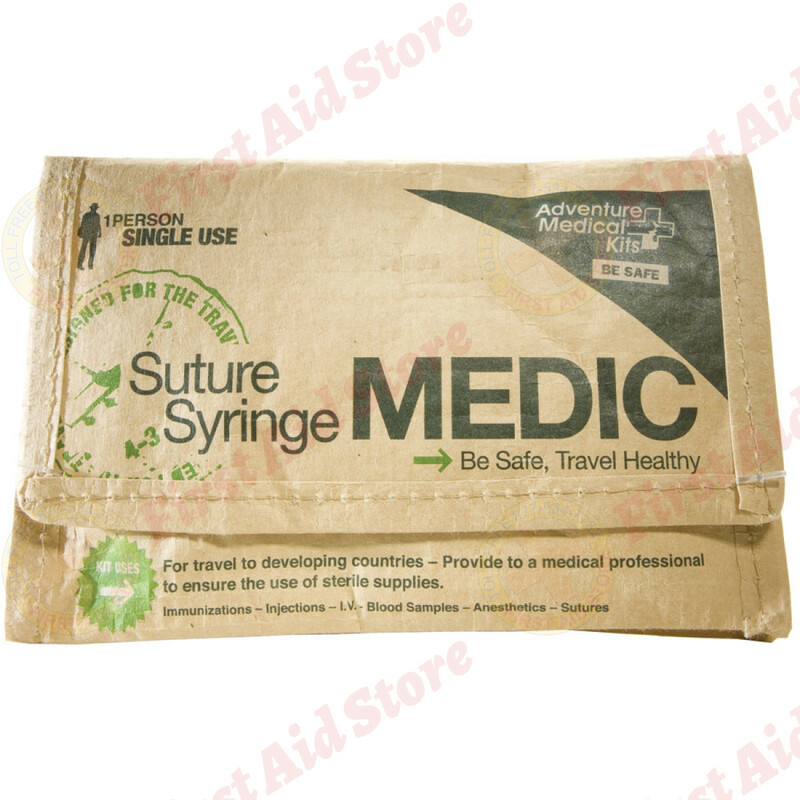 We offer the Adventure Medical Suture / Syringe Medic at First Aid Store™… a necessity for any trips to locations where sterile supplies may not be available. 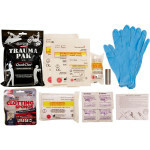 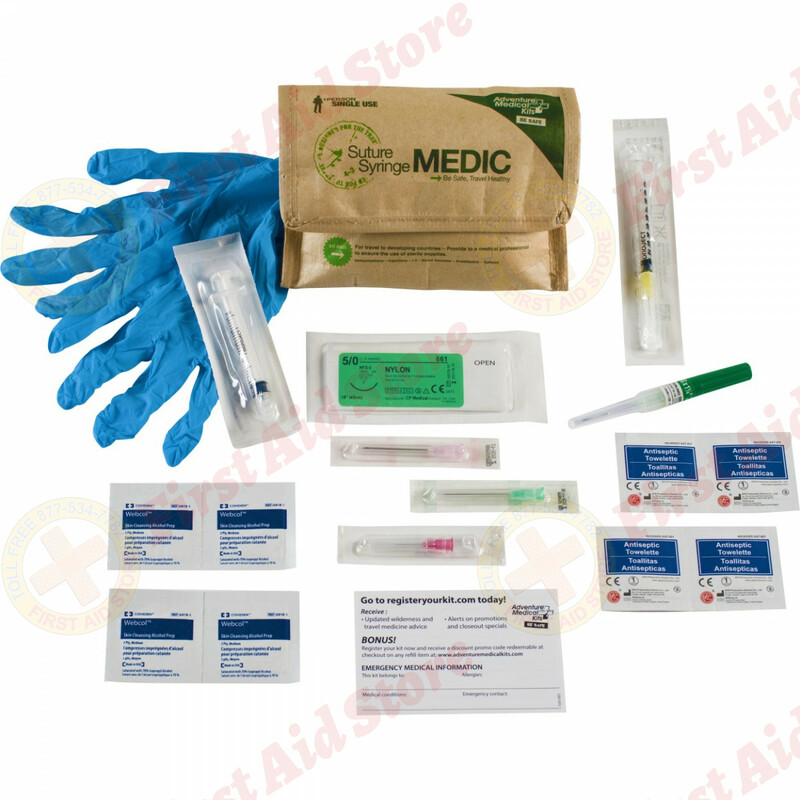 Kit contains enough first aid and medical gear for 1 person for single use. - Contains declaratory statements in 8 common languages to ease passage through customs checkpoints. 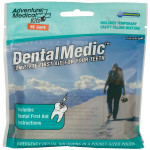 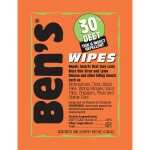 - Fits in the mesh front pocket of Smart and World Travel Kits. 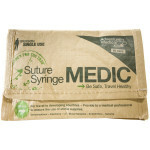 (1) Needle, Disposable, Sterile, 18G x 1 1/2"
(1) Needle, Disposable, Sterile, 21G x 1 1/2"
(1) Needle, Disposable, Sterile, 25G x 5/8"
The Adventure Medical Kits Suture/Syringe Medic.